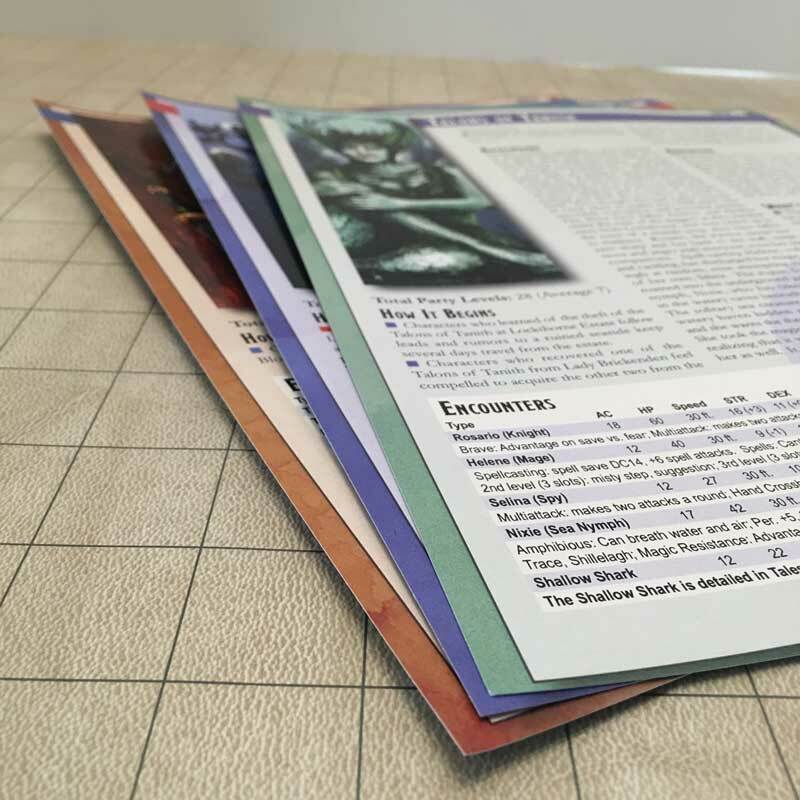 NEW DUST COVER with a blank hexagonal mapping sheet on the inside! 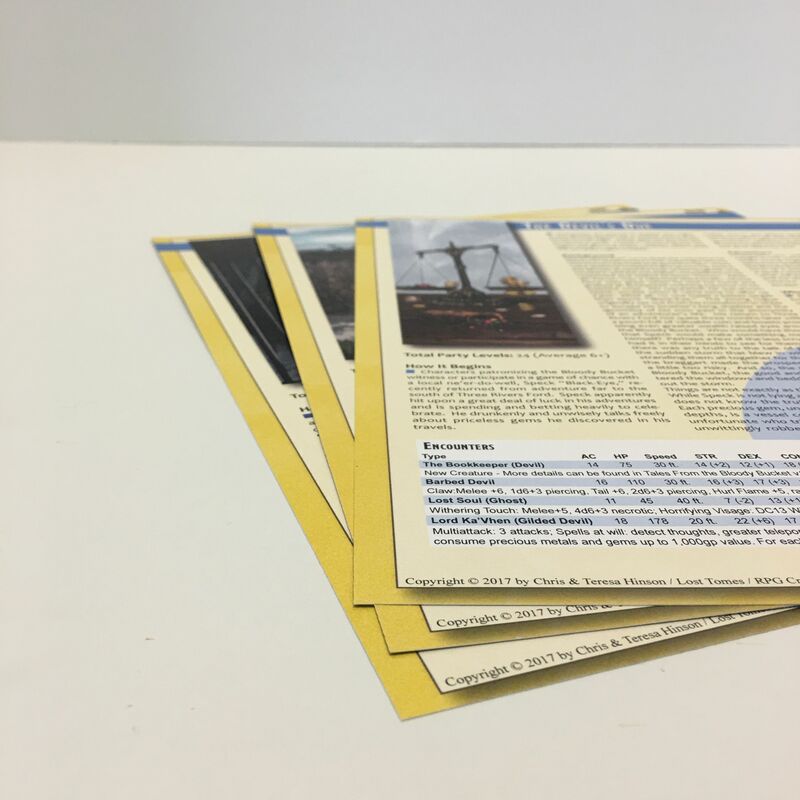 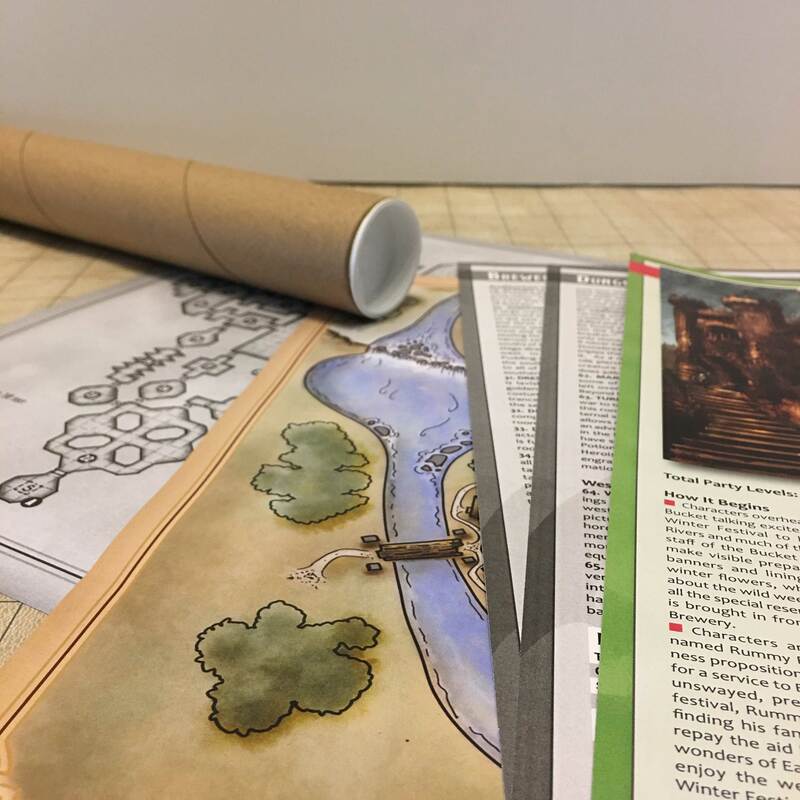 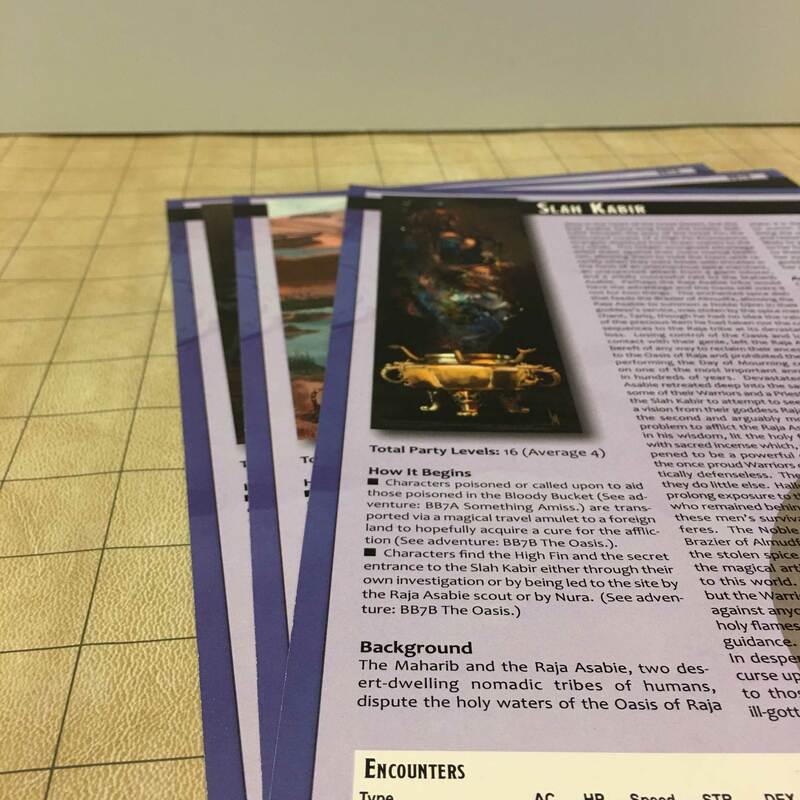 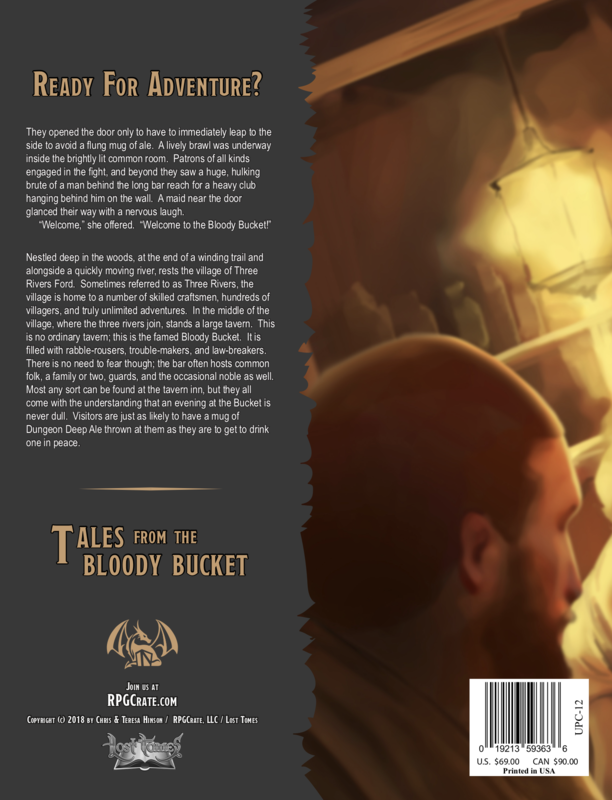 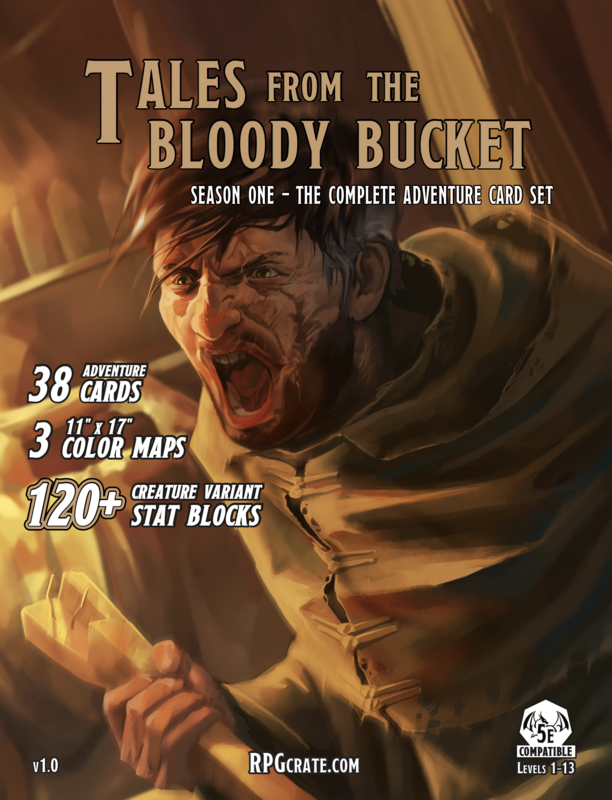 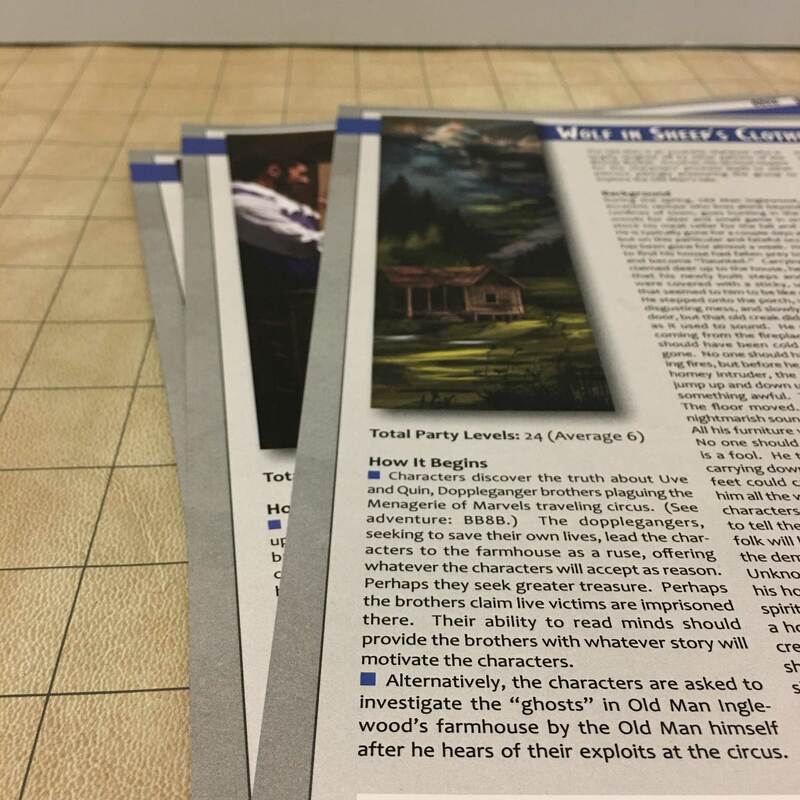 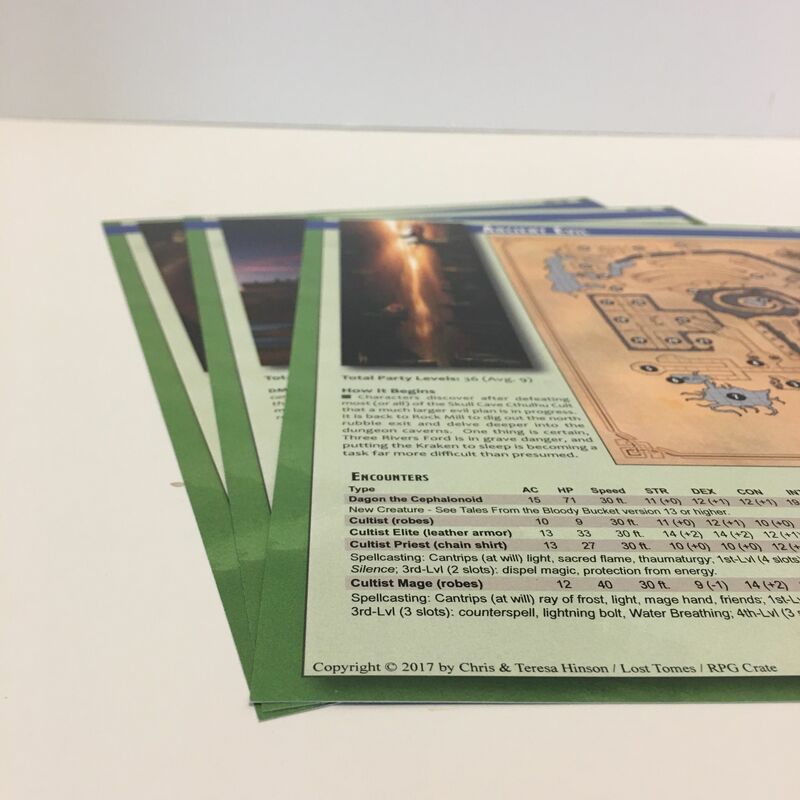 This pack includes all 38 full sized 8.5" x 11" Adventures cards and maps from Tales From the Bloody Bucket featured in RPGCrate Season One. 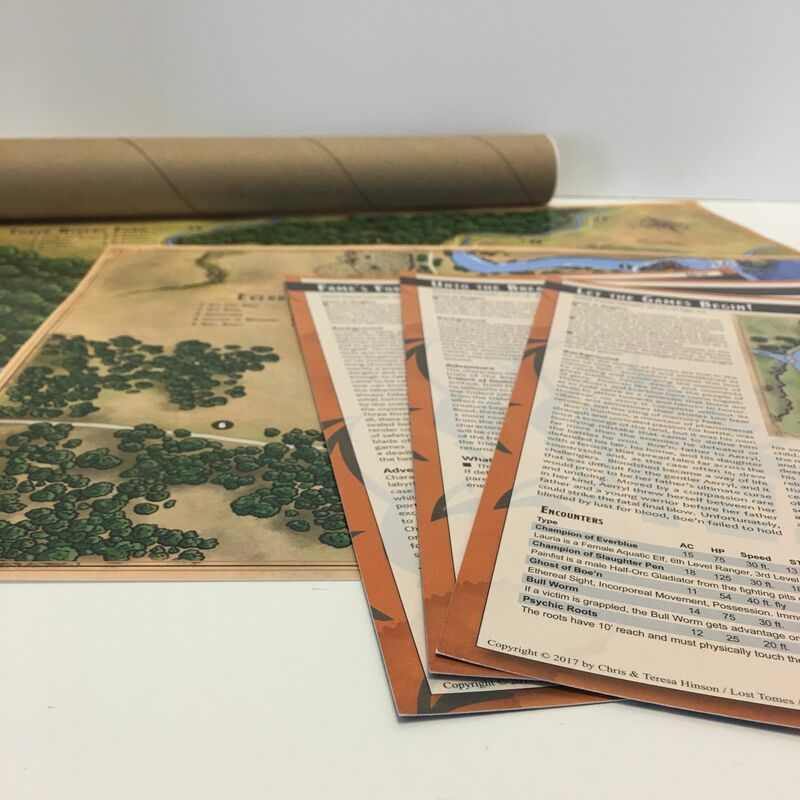 This also includes all 3 of the Season One 11"x17" maps (folded in half): Three Rivers Ford, Everblue, and Eastgate. 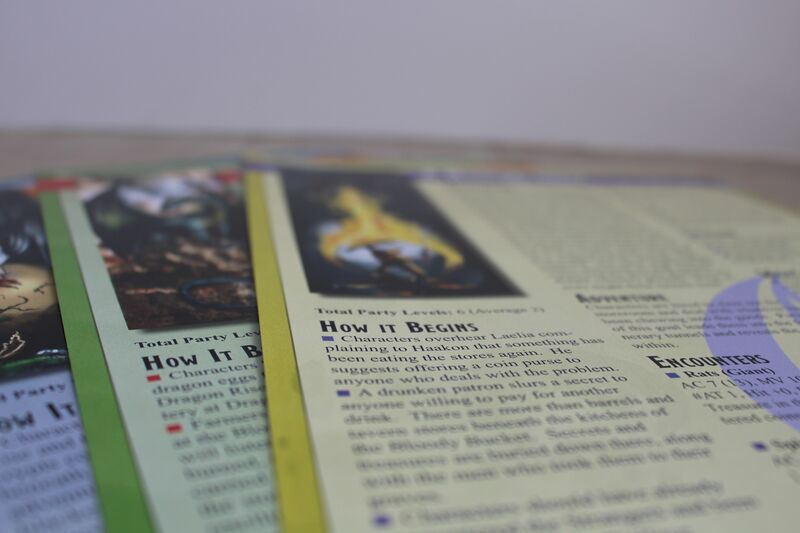 Eastgate is double-sided with a large old-school dungeon adventure featured in November's Crate. 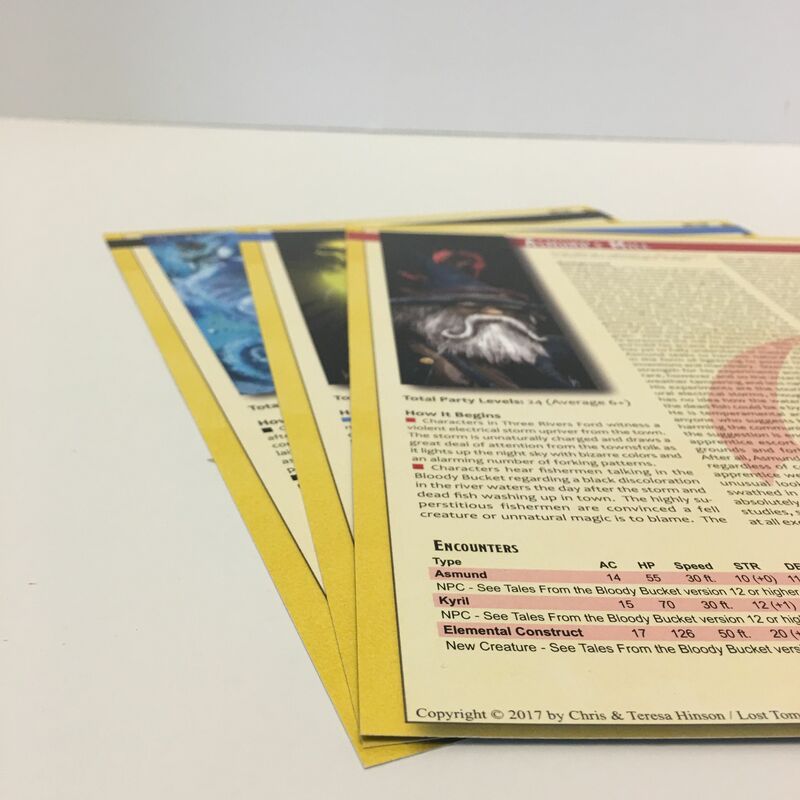 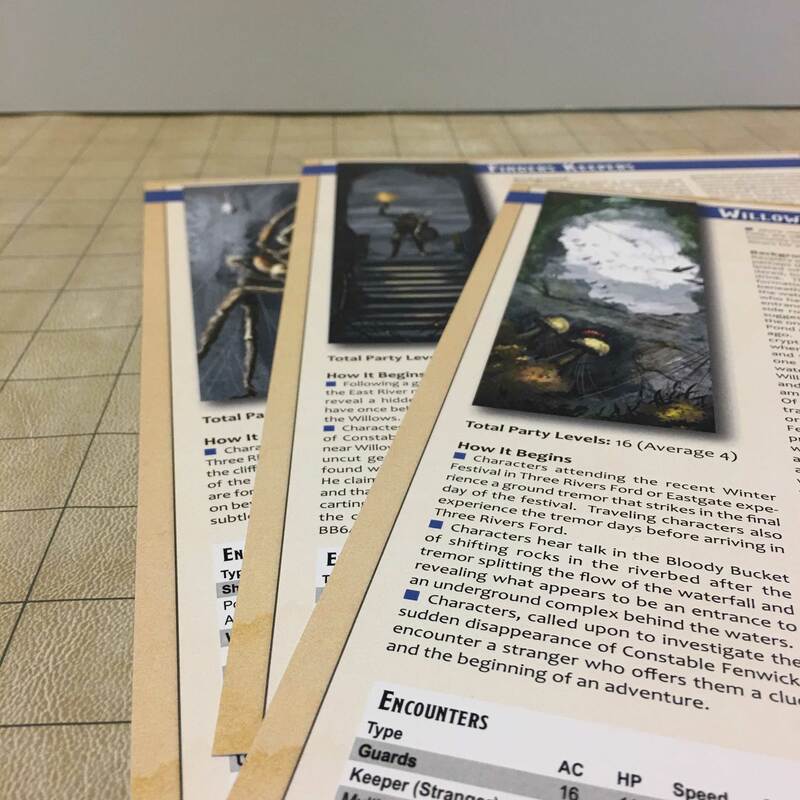 Of note, the first few months of RPGCrate were a tribute to old-school rules, so the creature stat blocks ONLY In those first months are 2nd Edition compatible. 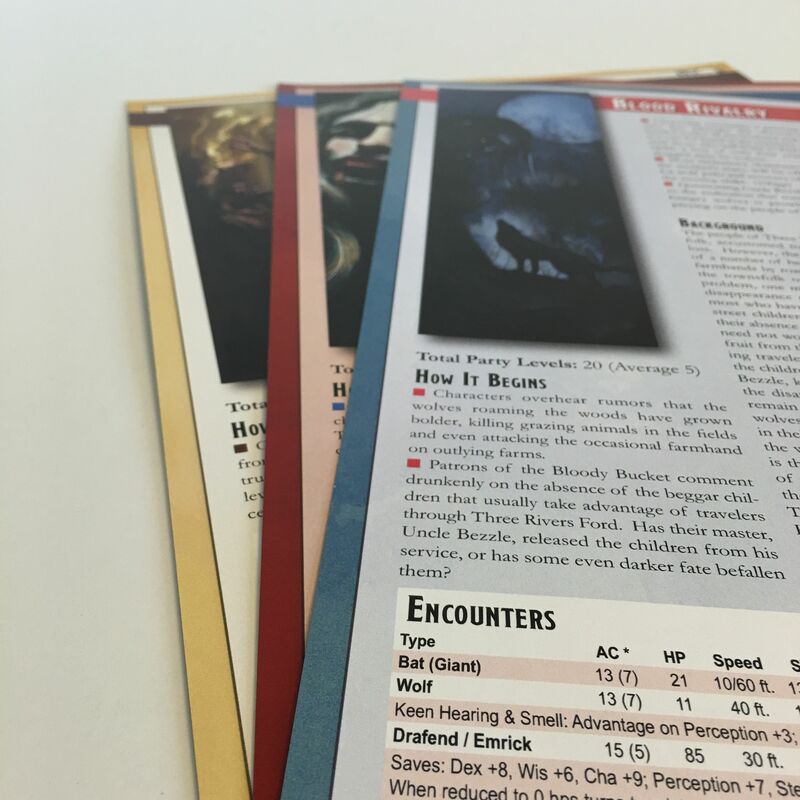 After the first few months, the stats are 5th Edition compatible. 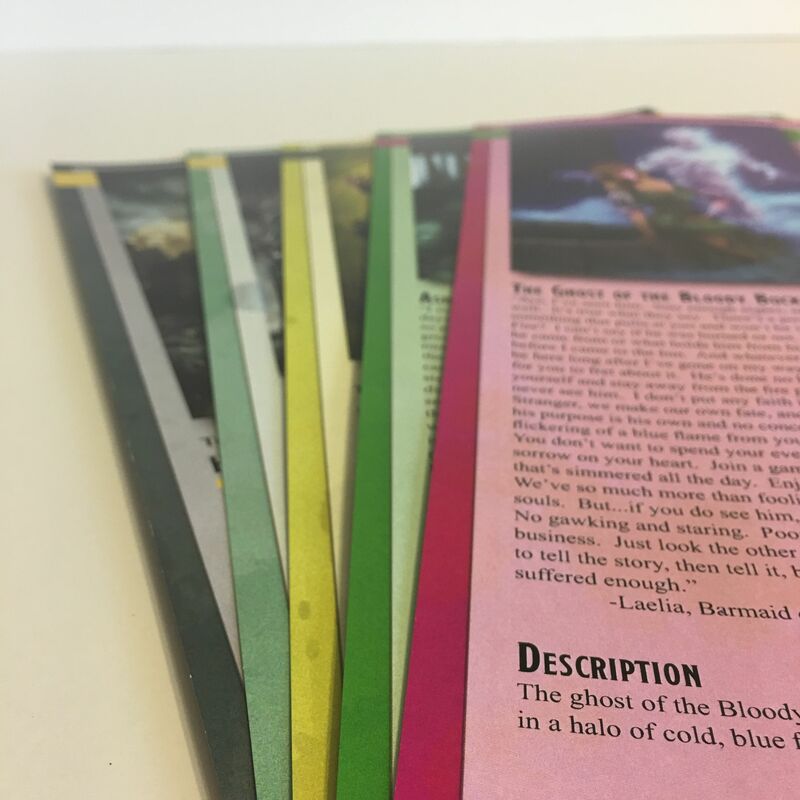 These are now shipped in their own RPGCrate box, with a layer of pick & pluck DragonFoam.